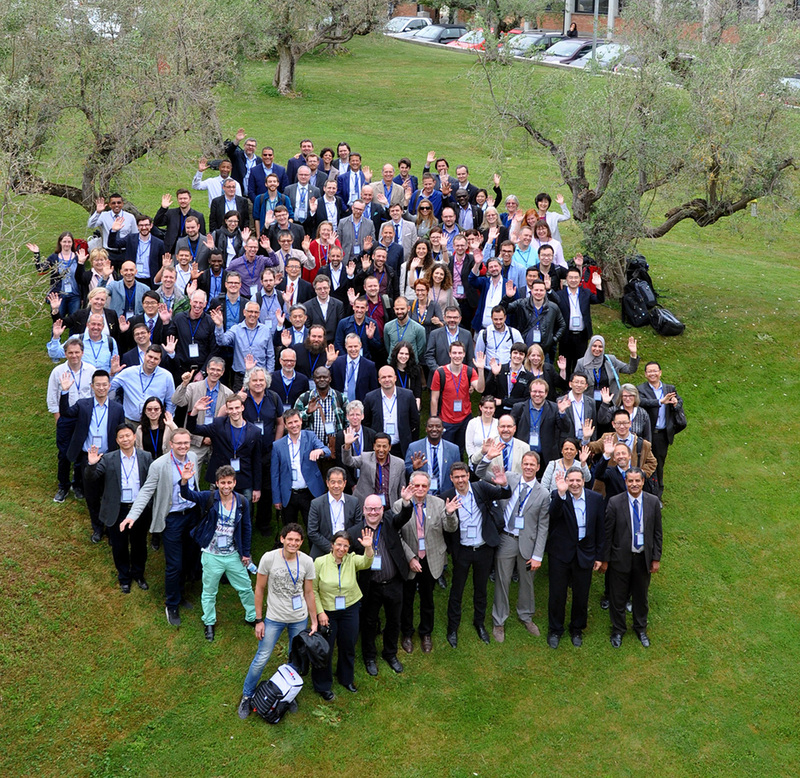 The 3rd GEO Data Providers Workshop gathered >200 from more than 130 organizations, 33 countries, and 5 continents to share knowledge and best practices in the management and use of Earth observations and to contribute the Global Earth Observation System of Systems (GEOSS). The meeting was co-organized by the GEO Secretariat, the European Space Agency (ESA), CNR-IIA, the United States Geological Survey and the University of Geneva. The event provided a space to share experiences and knowledge for the management, communication, dissemination and use of earth observations. 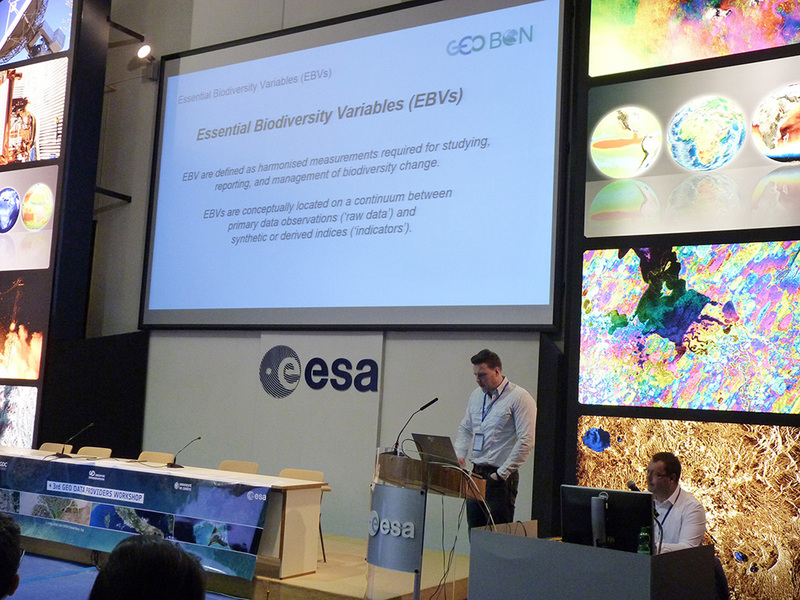 Christian Langer on behalf of GEO BON presented the new developments and progress towards an EBV Data Portal (Download full presentation as PDF) and how the GEOSS platform could benefit from the new EBV metadata standards in the future. In addition to the presentations the workshop featured 3 days of dynamic sessions, along with GEOSS Hack 2018, a hackathon, where participants had 30 hours to create an open-source data discovery or access application based on a challenge focused on the UN Sustainable Development Goals. Based on the biodiversity challenge “Protecting the Forest” Christian Langer and Joakim Adrup (ESA) won the first prize with their mobile web application to help rangers in Madagascar to report fire damage (See news). Photos, presentations and all Hackathon submissions are available on the event website.